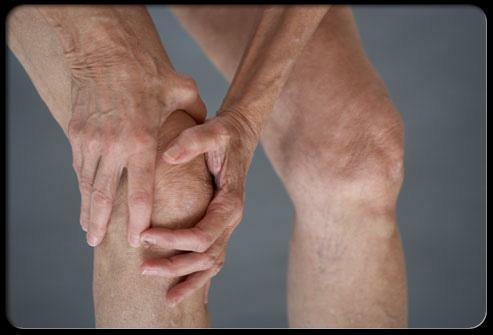 For those suffering from osteoarthritis - a disease resulting from wear and tear on joints - a joint replacement is sometimes needed after all other attempts at pain relief have failed. But a successful replacement depends in part on a proper fit of the implant to the bone. Dr. Bruce Bollinger is an orthopedic surgeon in Fort Worth, and one of two doctors in Texas trained in a recently FDA approved method of custom-fitting knee implants to patients. Dr. Bollinger: Other companies have implants that are predetermined sizes, and in surgery, I basically open up the knee, size that knee at the time, and try to select the best fit for that knee. So if sometimes I have to go to a smaller implant to make it fit, or sometimes, like optimally, you have to go a little bit bigger to get it to work. It’s a process of trying to make the patient fit the implants in most systems. Baker: I don’t mean to make light of it – that almost sounds like renting a tuxedo and then having it fit to you. Dr. Bollinger: Well, in the past that’s the way it had to be done. What the ConforMIS company is now able to do – we do a CT scan, a special X-ray imaging of that patient’s knee and their lower extremity and from that we’re able to create a patient- specific implant that will fit them and then only. If we make that implant and we decide that we don’t do the surgery, that implant literally is thrown away because it will fit no one else. Baker: The advantage of this fit is what? Dr. Bollinger: Better coverage of the bone. If we have better coverage of the bone, we should have better long-term support of that implant by the bone, and also, since each implant is a little bit different, we can design the articulation such that we maximize the bearing service so there’s less stress on the implant over the long haul, meaning that implant will last longer. And then the other aspects that I’ve found, it’s actually less surgery that I have to do. A lot of the planning and everything is also done by the computers. So I get an implant that would fit you. Parallel that implant being made is a set of cutting guides that will minimize the amount of bone I have to remove to get this implant in place and minimizes the amount of soft tissue surgery I have to do to get the implant to fit you also. What that means is we’re finding less blood loss, less post-operative pain, a faster return to function. I’ve got patients that have been back to work in as little as two weeks full-duty, after a full knee replacement. Baker: Custom fit, though, usually implies more cost? Dr. Bollinger: Unfortunately, in a Medicare population, Medicare predetermines they will pay x number of dollars for an implant, the surgery, and everything associated with the surgery. I’ve been using this custom implant in a younger population, because again, we’re conserving bone so that revision surgeries in the future are going to be easier. Younger patients are going to have more conventional insurance and I don’t have to be concerned the hospital is going to necessarily lose money if, as in Medicare situations, they only get x number of dollars to cover the cost of the surgery. Baker: But I guess the question here then would be how cost affects the quality of care. Dr. Bollinger: If, as a younger individual in your fifties – cause we baby boomers have been rough on our knees – we’re gonna see many more patients at a younger age that need total joint replacements. So if the cost is a little more, but it will last longer in the end, I think in a younger individual, it is very justifiable to definitely go with these custom type implants even though it costs a little more. Baker: But for older people or those on Medicare/Medicaid, we’re not talking about having to settle for less quality of care. Dr. Bollinger: I think an implant that would fit you individually is always going to be better. But if I’ve got a patient that’s in their seventies that, you know, has a little less expectation as far as their activities, I feel I can use an off-the-shelf system and get them 15 years of function out of that knee. Baker: The custom approach, the patient-specific approach, is this the way of the future, you think? Dr. Bollinger: I think so. Right now this particular company has the technology to do this on almost any joint. Their emphasis is on the knee but they do envision possibilities shoulder joint replacements being custom, hip replacements being custom, ankle replacements have been discussed. Dr. Bruce Bollinger is an orthopedic surgeon from Fort Worth.